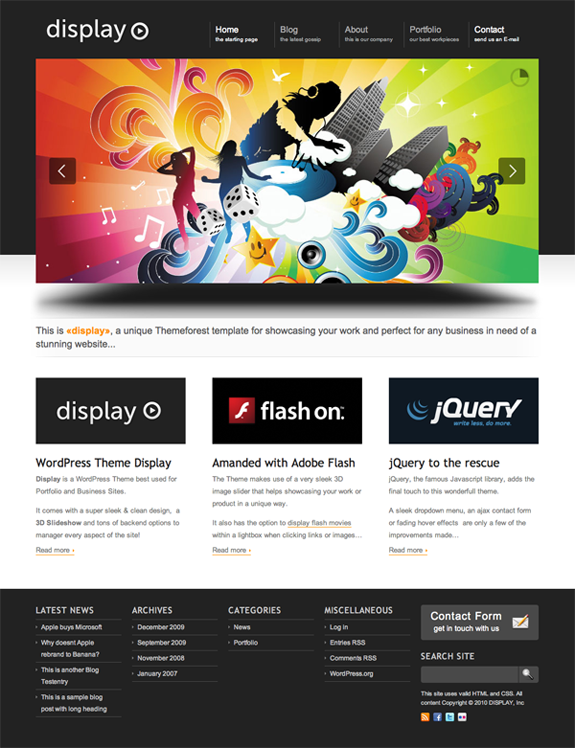 Display is a WordPress theme best suited for business and portfolio sites. It comes with a fantastic 3D image slideshow that is controlled by a custom tool from the site’s backend, which is completely custom (8 additional admin pages) to make personalization of the theme easy for those who don’t know much about coding or WordPress. Among other features, Display has 3 fantastic skins to choose from (light, dark, and minimal).